North Coast Organic produces delicious, wholesome, apple products using only organic grown apples. 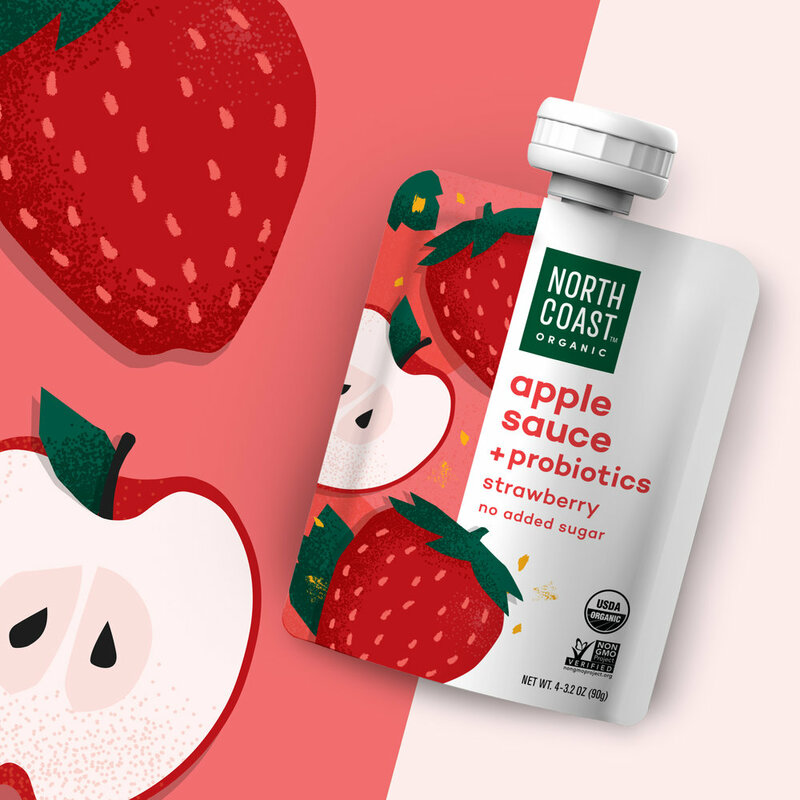 Seeking to expand their product offering, North Coast tasked Enlisted to design a new line of innovative apple products. A drinking vinegar and probiotic apple sauce pouch. We wanted the packaging to have a strong shelf presence in a cluttered category. Playful fruit illustrations communicate both the energy of the active cultures and the tasty flavor infusions that make this product unique. The vibrancy and texture of the illustrations balance the health-forward cleanliness of the design and invite consumers to try this new age category. These new drinking vinegars and apple sauce pouches hit the shelves in April.